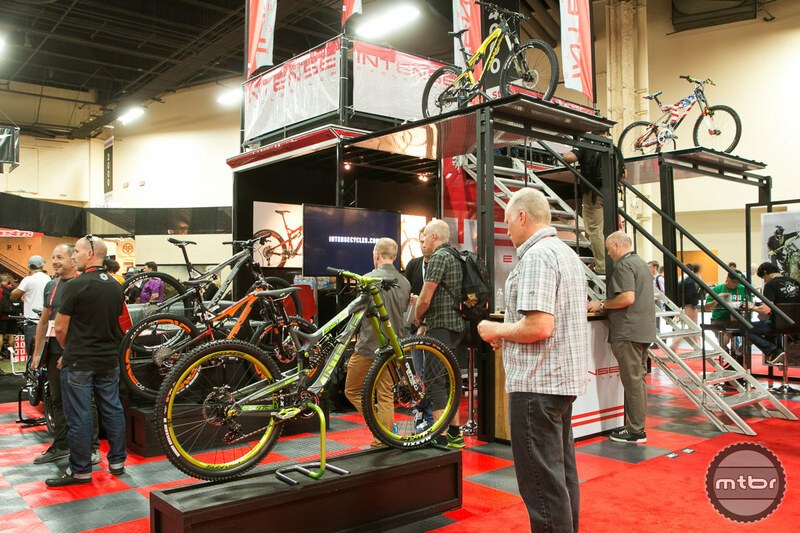 Intense Cycles highlights their Carbine 29er, Tracer 275 Factory build, Spider 29er Carbon and Tracer 275 that’s handmade in the USA. 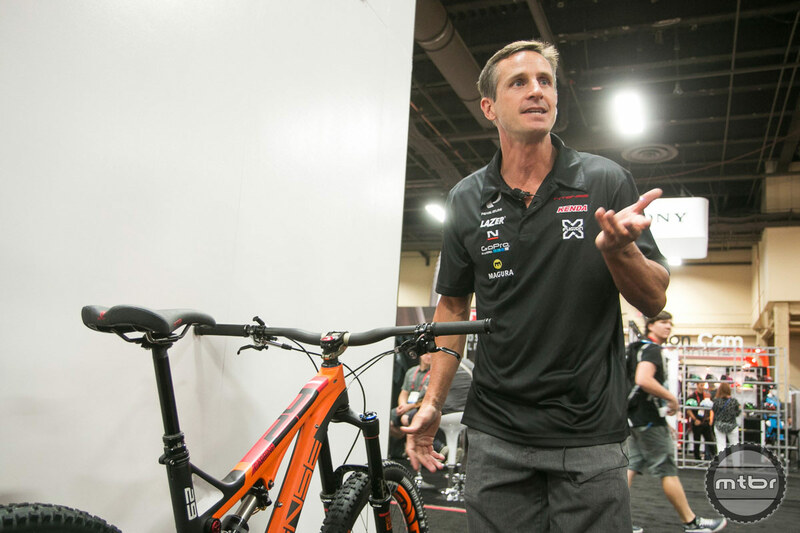 Brand ambassador Shaun Palmer and Professional mountain bike racer Brian Lopes exchange some friendly banter, then Lopes takes us through some of Intense’s offerings for 2015 including the Carbine 29er, Tracer 275, and Spider 29er Carbon. 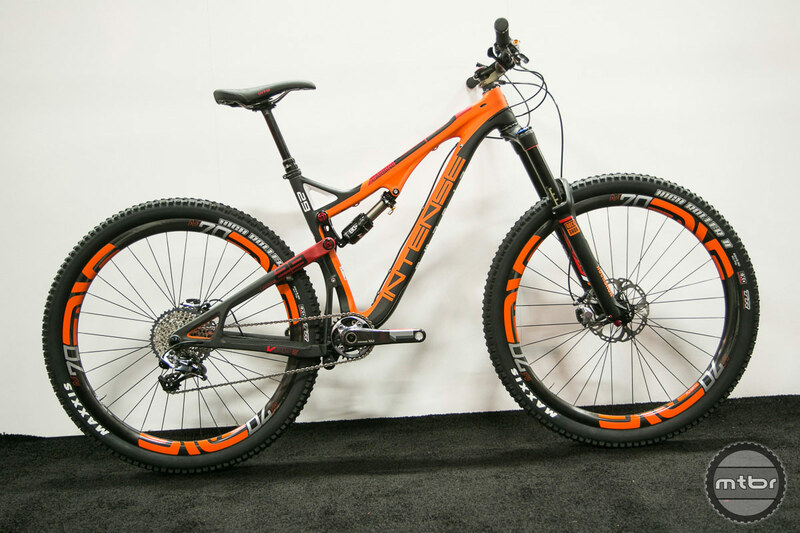 For 2015, Intense has updated the 140mm travel Carbine 29er with new graphics and colors, and a new rear end that is stiffer, lighter and more up to date. The Factory build features all of the top of the line components. The Tracer T275 Factory build is Brian Lopes’ “go to bike.” The new 160mm travel, 27.5 aggressive trail bike features a good slack head angle and bottom bracket height. 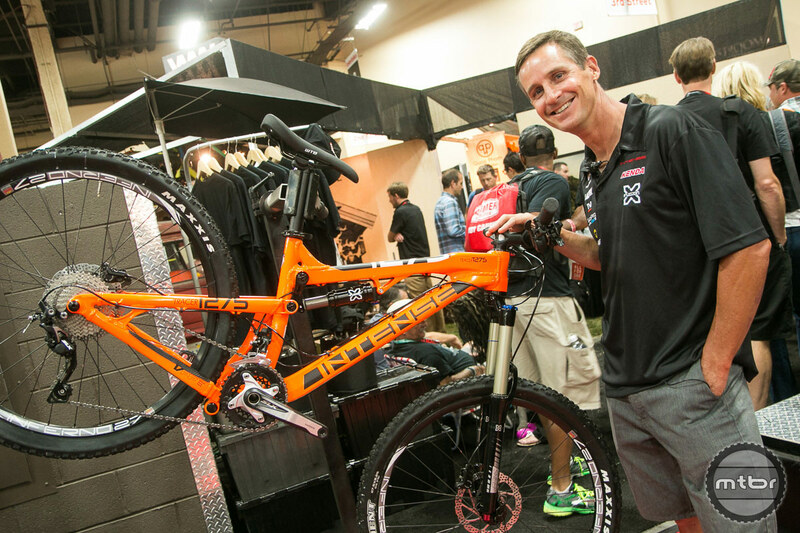 The new for 2015 Tracer 275 with the Foundation kit, offers the biggest bang for your buck at $2995. 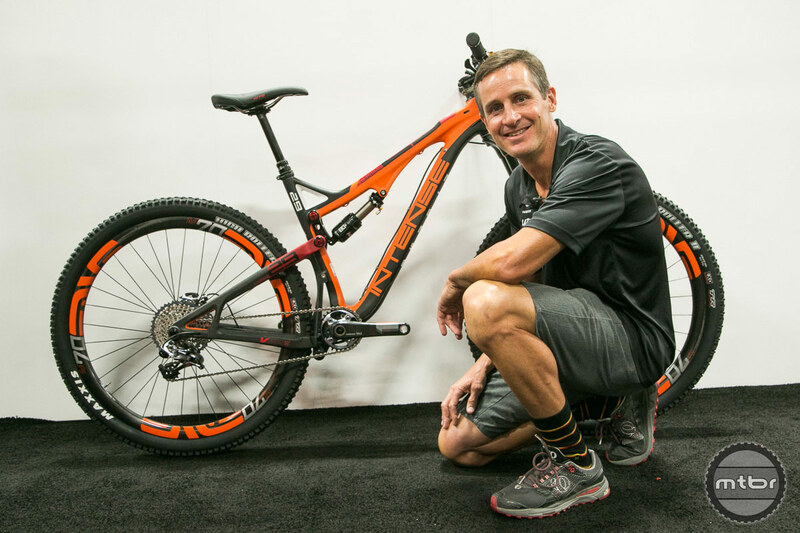 It features the same geometry, dimensions and travel as the Tracer 275 Carbon that Lopes rides. 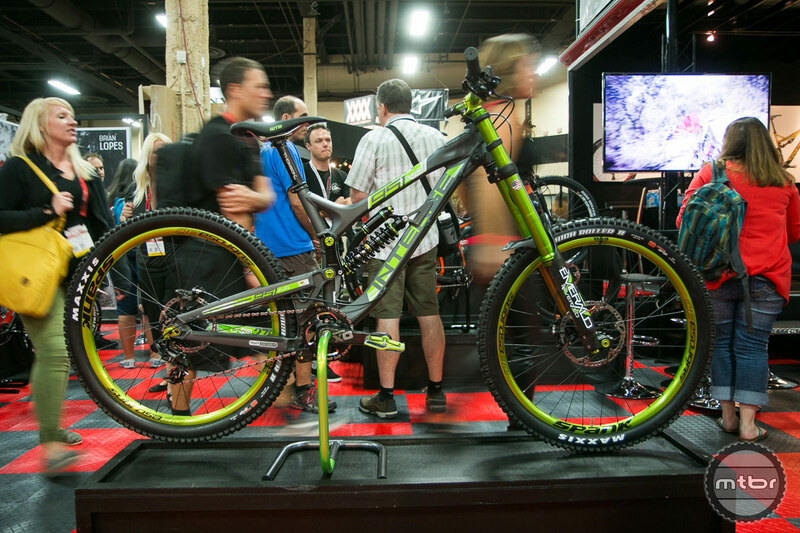 It also includes an X-Fusion rear shock and fork and is handmade in the USA. The Tracer is now available in three builds for alloy and three builds for carbon including the Factory model. The Spider 29er Carbon is a great everyday XC bike that features a 2 position shock (115-130) and a head angle and seat angle that are bit steeper than the Carbine. The Spider 29C is available in 4 builds including the Factory model in Naked Yellow. The Carbine is our 29 inch wheel size, 140mm trail bike built for fun and speed with true grace and beauty one would expect from an Intense 29er. For 2015, it is offered in an all new graphic package and is available in two colors. The bike has been upgraded to have an all-new rear triangle with carbon-integrated drop-outs for a sleeker, more refined look and more rigid feel. 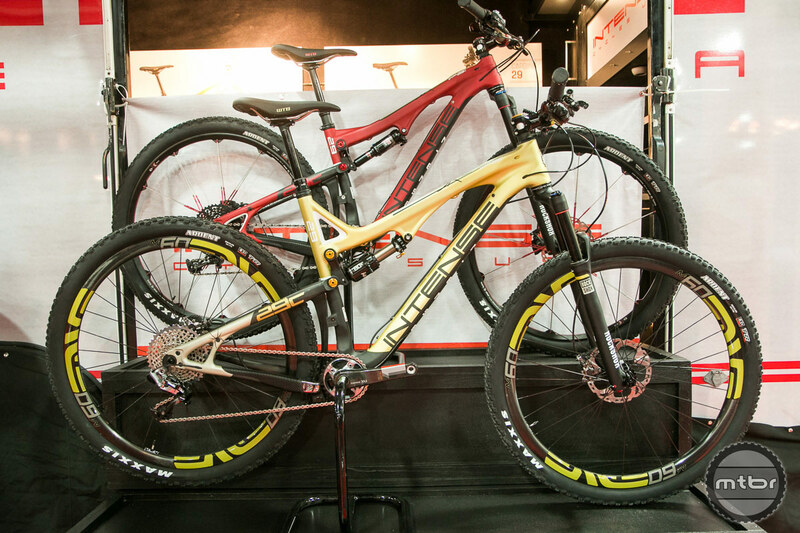 The Carbine 29 is now available in four builds including this stunning Factory model. The Spider is our 29-inch 130mm light trail bike built for cross country trails and flowy singletrack. For 2015, it is offered in an all new graphic package and is available in two colors. The Spider 29C is now available in four builds including this beautiful Factory model in Naked Yellow. The Tracer is Intense’s 275 wheel-size 160mm trail bike that has become one of the top raced bikes on the global Enduro circuit. For 2015, the carbon and aluminum bikes have the exact same geometry as the all-new Tracer Alloy uses hydroformed tubes that mimic its carbon big brother while shedding over a pound from last year’s version. The Tracer is now available in three builds for alloy and three builds for carbon including the Factory model. The 951 has become the most coveted park bike throughout the world. For 2015 we introduce three new specification packages including this stunning DVO – equipped special edition. The 951 EVO DVO was specially designed by our development team to showcase the all-new DVO front and rear suspension system.